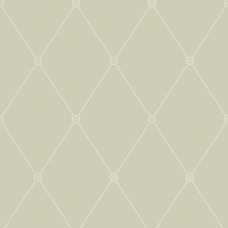 The Archive Anthology Large Georgian Trellis design features a choice of seven new shades with shades including bold and bright as well as soft and neutral tones. Each shade measures at 52cm width by 10 meters length and has a repeat of 26.5cm. 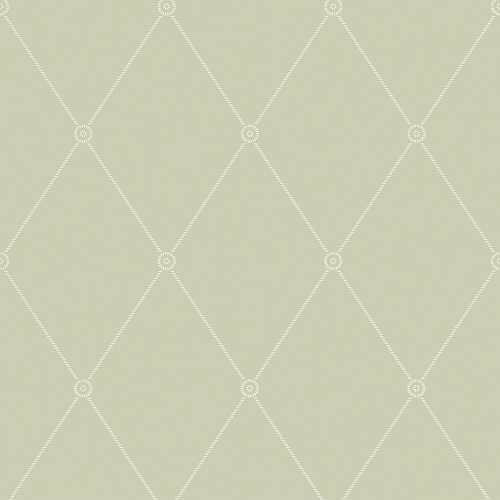 This sleek and elegant Trellis 100/13065 is a wallpaper taken from Cole and Son’s extensive archive and it has been revived using a modern palette of elegant and sophisticated colours. This popular design features a classic rope and medallion trellis motif that is repeated across the paper. 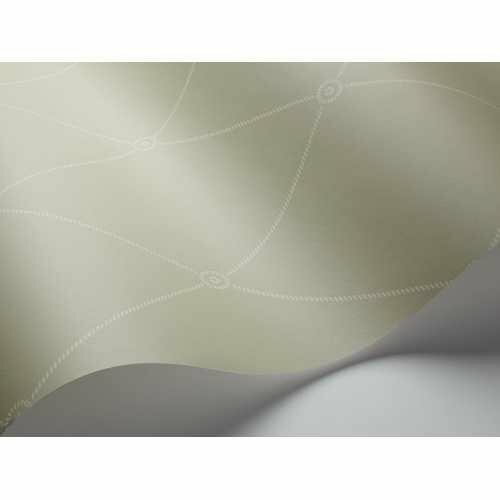 This muted yet warm olive green coloured designer wallpaper is the perfect choice if you are looking for a soft wallpaper pattern that will capture the attention of your guests as well as blend in and fit with your interior colour scheme. 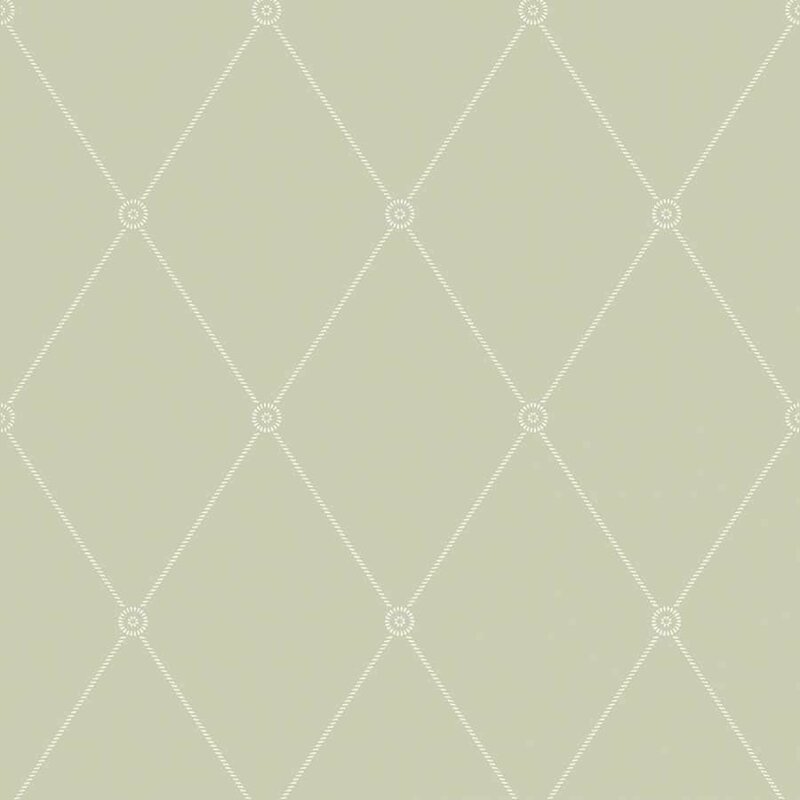 The Large Georgian Rope Trellis colourway 100/13065 is a soft and muted olive green block colour with a cream rope trellis detailing and small circle pinpoints where the lines cross for a delicate and intricate wallpaper design.